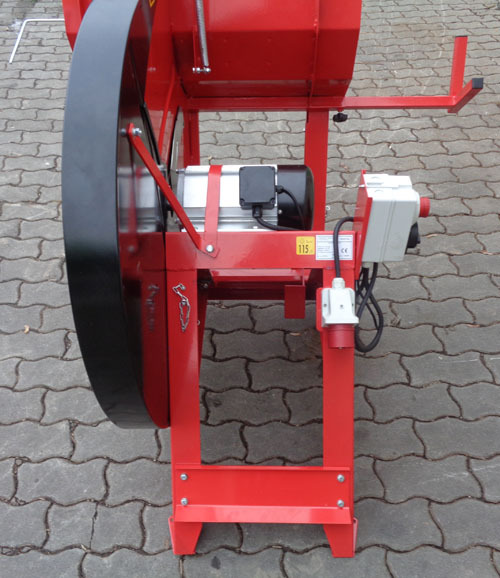 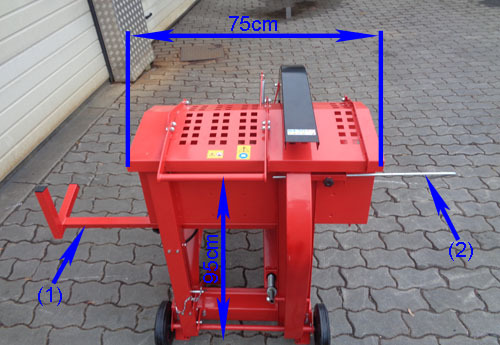 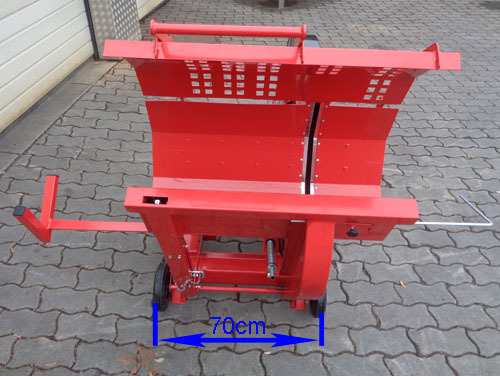 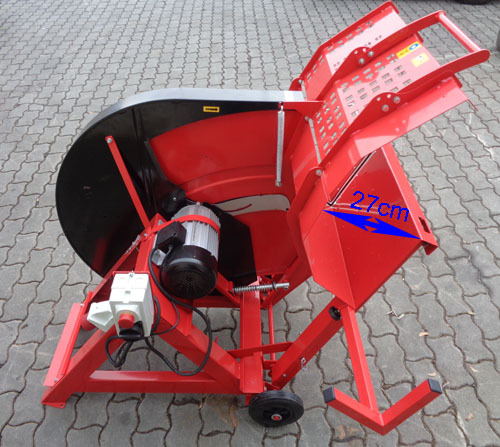 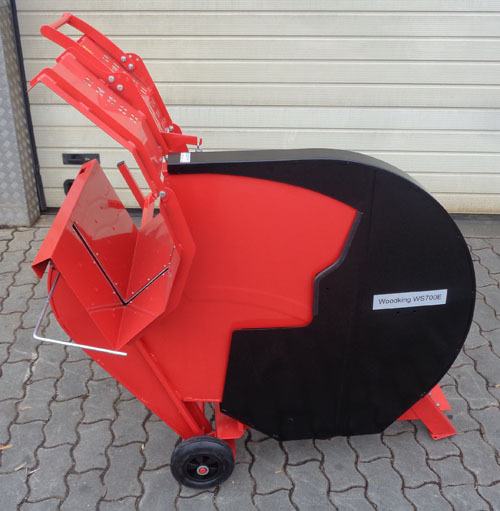 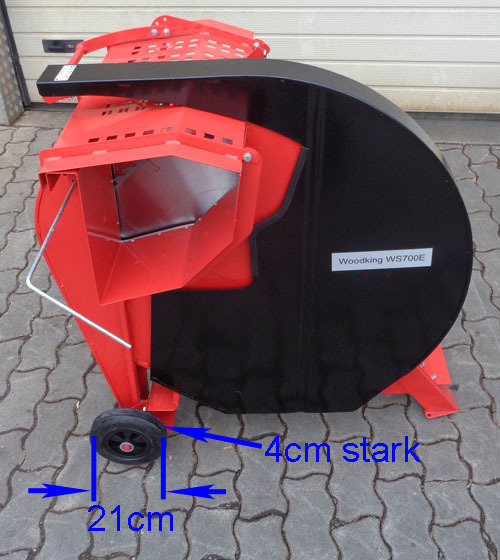 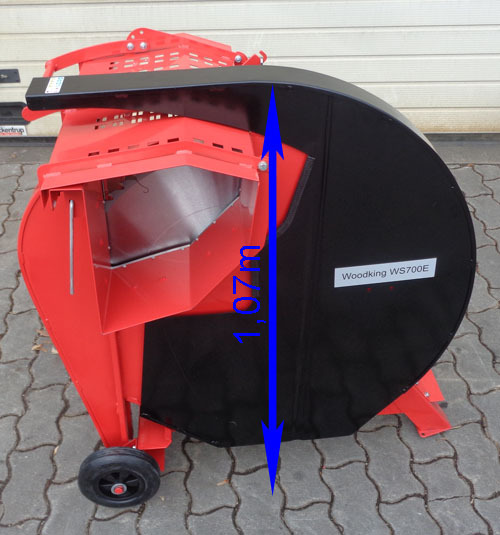 This firewood saw is equipped with a 400V / 5,2kW motor. 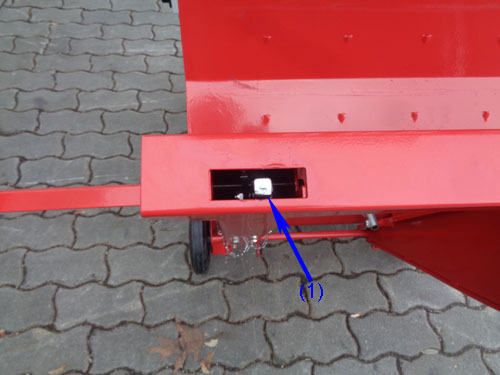 The 16 Ampere power socket is equipped with a phase inverter. 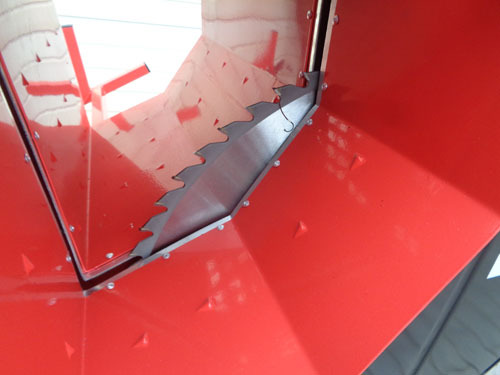 The carbide saw blade has a diameter of 70 cm and is covered by the rocker cover - so you have optimal protection. 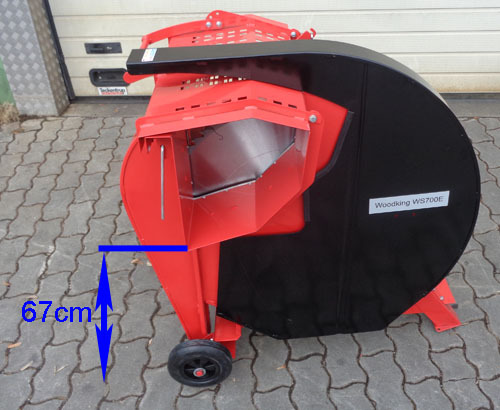 Latest version with improved protective device according to the current CE standard!